A few days have passed since the end of 2012 and now it's time to post my favorites. I would have gotten to it earlier but the celebration after the Clemson victory over LSU just...wouldn't....stop! 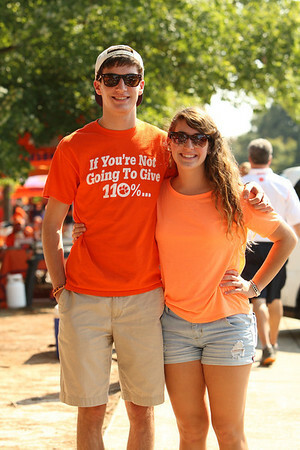 We'll start with a shot of my kids before the Clemson / Georgia Tech game. Clemson won that game too! 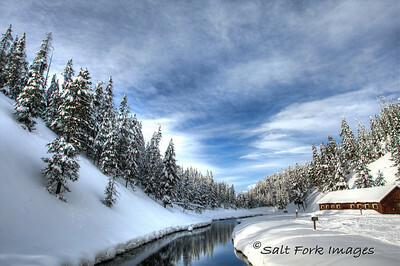 My favorite Idaho shot from the year was taken in late January on a snowmobile trip in the Targhee National Forest. Very cold! I took an early summer roadtrip with my son out west. We visited Grand Canyon, Bryce Canyon, Zion, Arches, Canyonlands, and Rocky Mountain National Parks. He called it The Great American Roadtrip - GART. Here's a shot taken right after sunrise at Bryce. 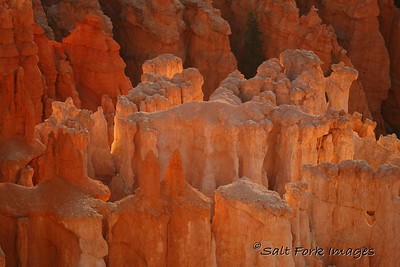 I love the way the backlighting on the hoodoos made them glow. 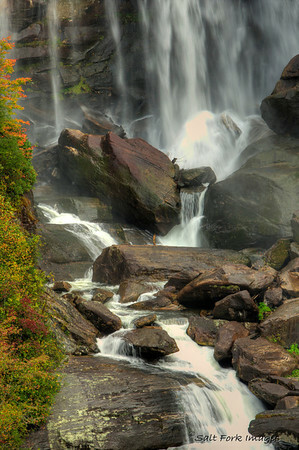 This one is a detail shot from Whitewater Falls, a 410-foot cascade in the Nantahala National Forest in North Carolina. A 1/15th second shutter speed made the water look nice and soft. 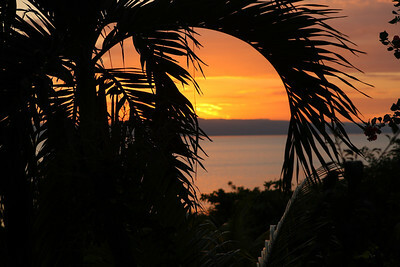 Here's a shot from Wahoo Bay in Haiti. Of course I had my camera with me as we enjoyed the sunset from a beachside restaurant. 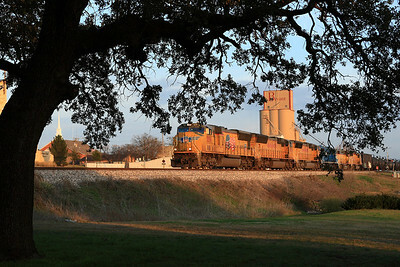 My hometown of Aledo occasionally yields a nice shot. I like the late afternoon light and the foreground tree as a frame. And, how about a little football? 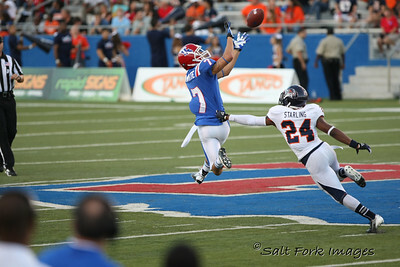 I shot this at the Louisiana Tech vs. UT-San Antonio game. I think it should have been interference. 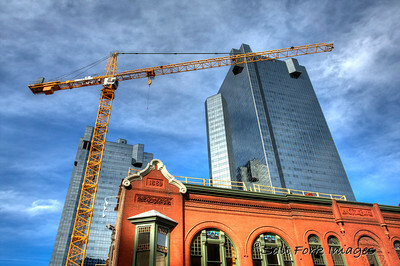 And finally, a shot from downtown Fort Worth: old and new, colors and angles! I'm hoping 2013 will be a good photography year. I've scheduled a trip to Washington, D.C., in March and I'm sure I'll be back in Idaho this summer. I'm also hoping to make a trip to Zion with my son - sort of a GART II. And of course, I'm sure there will be a trip or two back to Clemson.